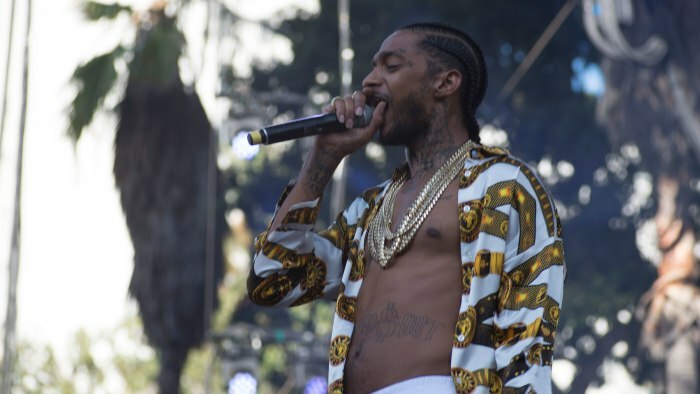 The city of Los Angeles laid Nipsey Hussle to rest this week, paying homage in the form of a "Celebration of Life" ceremony and a 25-mile funeral procession on Thursday (April 12). Amid the many gestures of love and heartfelt tributes, a handful of celebrities are stepping up to put their money back into the late rapper's family by way of supporting his Marathon clothing store. As reported, Meek Mill, 2 Chainz, The Game, T.I., J. R. Smith and DeMar DeRozan are among those who have stopped by the store on Slauson Ave to pick up t-shirts, hoodies, hats and other merchandise. Additionally, the celebrities were reportedly offered items for free given their respective bonds with the late rapper but insisted on spending money at the store instead. Additionally, the outpouring of support has resulted in the store's staff having difficulties keeping up with the demand, noting that a handful of items are already sold out. "If y'all ordered anything, it's on the way," 2 Chainz said, reassuring fans. "They're working diligently." T.I. also reportedly dropped $10,000 during his visit to the store, which has since turned into a memorial site for fans to come and pay their respects to Nipsey. He also encouraged others to shop online, adding, "Just doing my part. Your turn." On Thursday, Snoop Dogg, Lauren London, Karen Civil, Stevie Wonder and others gathered to celebrate Nipsey's legacy. Barack Obama, JAY-Z and Kendrick Lamar were among those who penned touching open letters in honor of the rapper and entrepreneur as well. 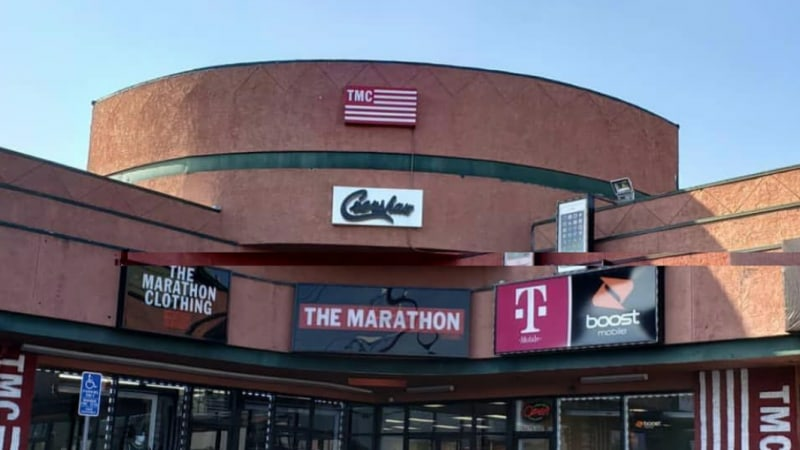 Those interested in supporting Nipsey Hussle's family and estate ca do so by visiting the Marathon clothing web store.